As residents around the D.C. region stay bundled up, it's important to remember that the cold also affects pipes in homes. 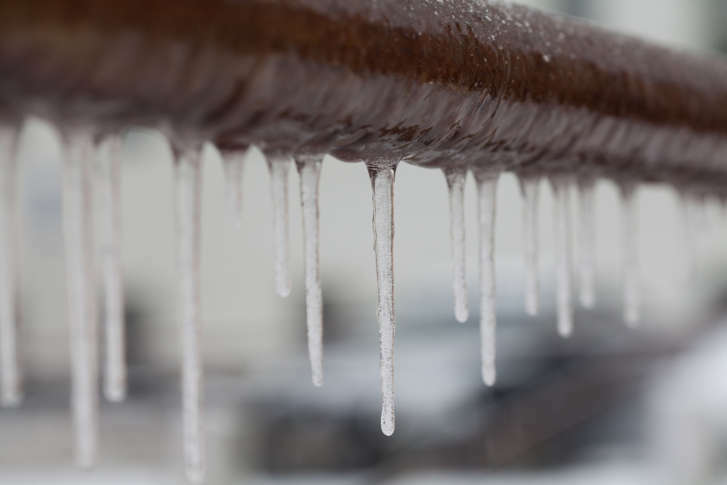 WASHINGTON — The D.C. region entered the new year with below freezing temperatures, and as residents stay bundled up, it’s important to remember that the cold also affects pipes in homes. “Homeowners should probably just take a minute to remember what’s going on with their pipes, too,” said Washington Suburban Sanitary Commission spokeswoman Lyn Riggins. Keep home temperatures at least 55 degrees or above to keep the pipes on your property from freezing, Riggins advised. If you can, keep pipes warm and protected: for example, DC Water advised on their website to use a “pipe sleeve” for water pipes that are not insulated. “If you’re worried about pipes freezing in your home, maybe leave a kitchen or a bathroom faucet on a trickle so the water keeps moving through the pipes and [they’re] less likely to freeze,” Riggins said. Other things homeowners can do, according to WSSC, include: turning off water to outside faucets, removing hoses and draining the pipes, exposing pipes to your home’s warmth by opening cabinet doors and making sure you have proper insulation. Frigid temperatures have already caused several water main breaks across the region on Tuesday, impacting traffic in parts of Northwest D.C.; Alexandria, Virginia; and Silver Spring, Maryland. “It’s just as important for everyone to take a look around their house as it is for us to take a look around and make sure that we [WSSC] have crews and we have supplies,” Riggins said. To contact WSSC, call 301-206-4002 for their Emergency Call Center, or call 301-206-4001 for their Customer Contact Center. You can also report a water main break by email at emergencycallcenter@wsscwater.com. Wednesday’s temperatures are expected to reach the low to mid-30s at some point with some sunshine. Forecasters are also looking at a chance of snow Wednesday night and Thursday morning in the fringes of the region or beyond. Chills will likely continue to grip the area into the weekend. WTOP’s Michelle Murillo contributed to this report.